My name is Sakkie Ntloko or better known as SK and I'm a student. 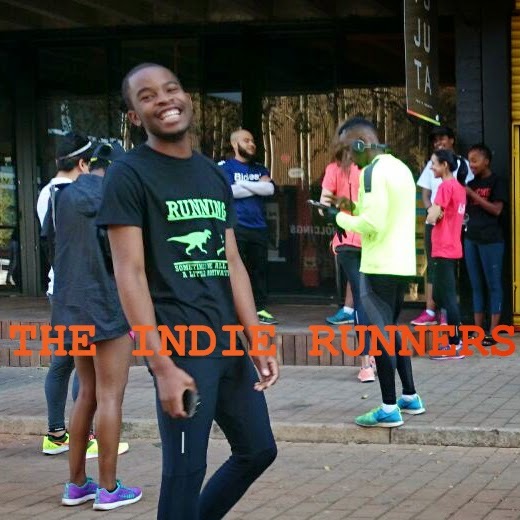 I reside in Johannesburg South Africa and I'm part of the Braamfie Runner's running crew. There is so much I've gained from running it goes way beyond than just the health benefits that come from it. I've built solid friendships and found an adopted family from running, a family of runners. One thing I hope to achieve in future is to get as many people as possible to experience the same things as I have through running. Introducing then to a healthier life and new social culture of healthy living. My goal is to get to those individuals who have that mentality of "running is too hard" and getting them to experience the joy of what we do. I believe I'm an Indie runner because for me running is not just for exercise but as mentioned before, a culture and way of life. Other things that make me an Indie runner are my passion for running(track and road running) , my desire to inspire, infectious energy and inability to be stagnant, after all I am part of a revolution... #RunRevolution to be exact!